Solving IT puzzles: Protocol Buffers for the win! Protocol Buffers for the win! OK, so after Googling for IoC benchmarks, I wondered around a bit on internet looking for serialization related stuff. 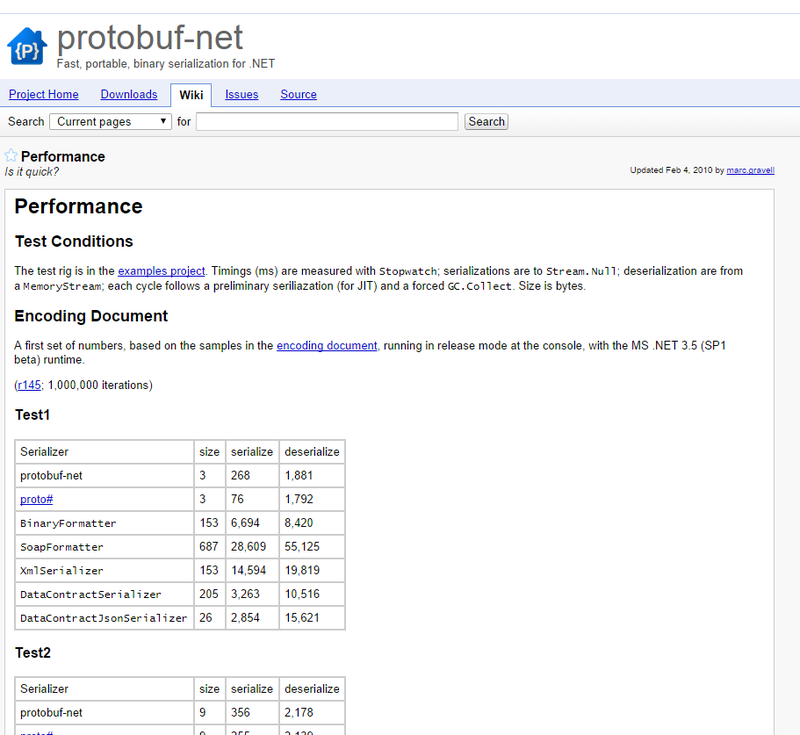 I came across Protocol Buffers which seems very promising. It's a binary serialization format used by Google and according to these stats it's faster than any of the other methods AND results in a smaller payload. 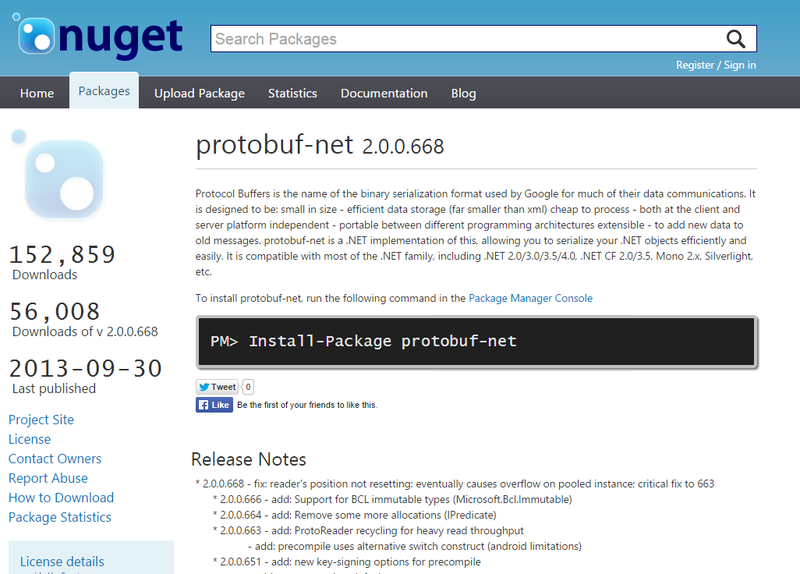 Check out the project site here, and the NuGet package here.